If you're interested in any of these positions, please send your resume to communications@ep-direct.com, or fax to 920-923-4486. Come work for a dynamic, growing company! 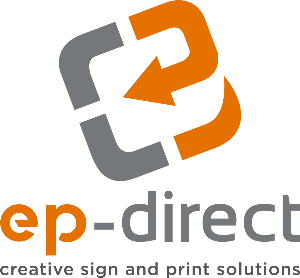 EP-Direct is seeking an enthusiastic, energetic individual to promote and develop its growing digital print and sign business. Looking for energetic people to be on-call for special deliveries (within 75 miles of Fond du Lac), bindery assistance and mailing production assistance. Candidates may be required to sit or stand for an extended period of time and be able to lift up to 50 lbs. For delivery drivers, a valid Wisconsin driver's license, proof of insurance and clean driving record a must. A CDL is not required. Perfect for retired individuals or stay-at-home parents looking for something to do while the kids are in school. Hours vary with projects and are flexible. Pay rate of $12.00/hour - no benefits. Send resume of qualifications to communications@ep-direct.com. EP•Direct, a leading-edge printer since 1969, is in search of high level sales people to sell digital printing, signs, and mailing solutions throughout Wisconsin and the midwest. Corporate headquarters are located in Fond du Lac. • Proficient in Word, Excel, Acrobat, Power Point, Outlook, ACT! EP-Direct is forward thinking, offers excellent benefits and commission oppportunities, and provides an atmosphere for personal and professional growth.